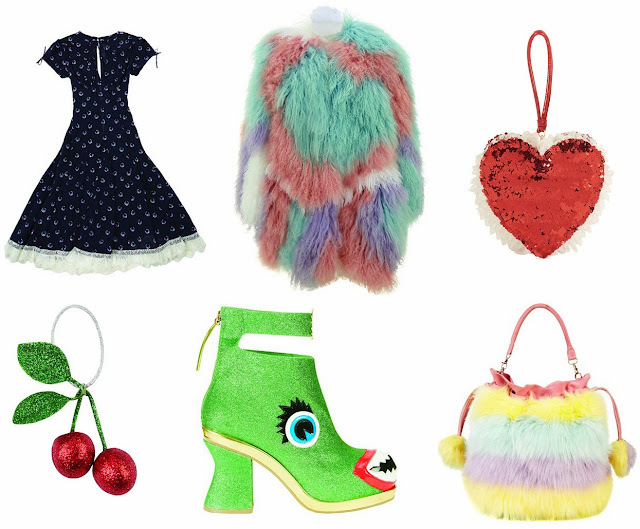 I am a fan of Primark all year round but this season they have some absolute treats! Here's a selection of what I have picked up recently. Starting off with the red festive jumper - this was £12 and I love it. The tree's baubles are little bells so they jingle, also it is slightly cropped so has a modern twist compared to the other novelty sweaters that are about. The patent pumps were just £4 and I think it is always essential to have a black pair of pumps to hand. The fairisle throw underneath all the bargains is also £10 from Primark and has a lovely soft fleecy feel. Check out this adorable Rudolph necklace on a gold chain. This was actually £2 from the children's section but isn't too short in length. I love that he has a wobbly head also! COOKIES! With the snuggliest lining ever, these slipper socks were only £4 however they sadly don't have the strongest elastic on the heel. I have been wearing this over-sized pink cable knit jumper tons, I can't believe it was £14 as would cost so much more in somewhere like Topshop. I've been teaming it with this gorgeous black jewel necklace which was a bargain at £5. This galaxy print rucksack was £6 from the mens section - can't go wrong really! Lastly I picked up some new winter jammies, tartan is everywhere at the moment and the dog on the top was too cute to leave in store. This set was under a tenner. So there we have it! I find it impossible to go in there and just get one item, I get drawn into the store like a magnet! 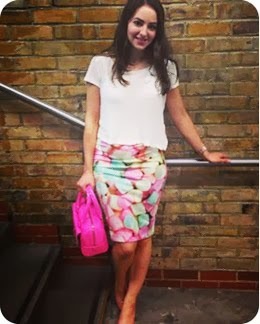 What have you picked up from Primark recently? Last week I went to a 1920's Prohibition night at Bloomsbury Ballroom near Holborn for my friend's birthday. It was great fun getting a look together for the night, I tried to be as authentic as possible but probably wasn't! Hope you like the finished look. I managed to source a lot from my wardrobe, this mini dress from Ted Baker had not seen enough love! The only item I ended up buying are these deco earrings - £3 from Primark! Grab them now for some Christmas sparkle. 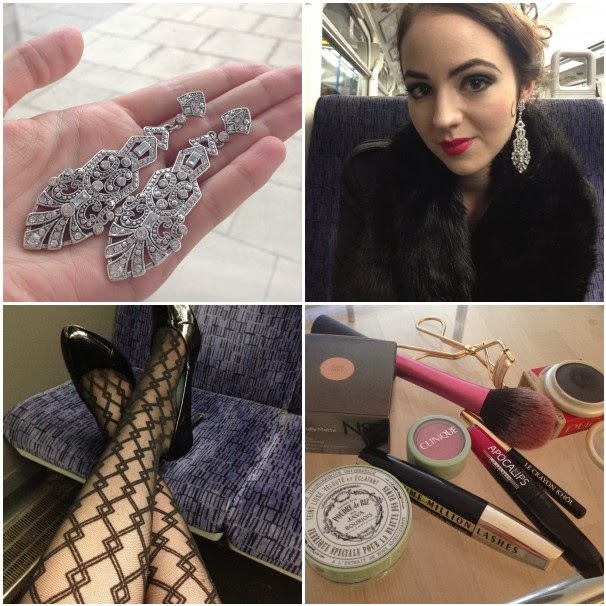 I've included a snapshot of some of the make up I used that evening. The make-up industry exploded in the 1920's, big bold smokey eyes were popular, bright cherub lips and eloganted thin eyebrows. Luckily for me, pale skin was in fashion. I tried out No7's mousse foundation but was not that much of a fan of it - review coming soon. My favourite product I used was the black eyeshadow by Pupa. An Italian brand rare to see in the UK but I picked it up in TKMaxx for just £2.99 - it's pigmentation is so impressive. 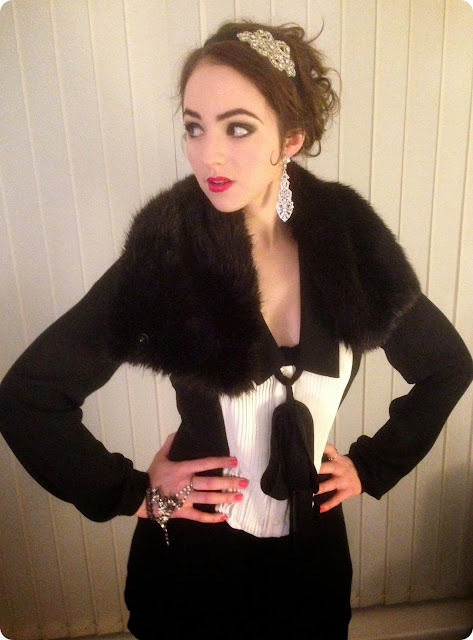 What do you think of Gatsby fashion? I've finally compiled my Christmas wish list which took longer than I thought! Links to items can be found below. Baking is something I enjoy and would like to do more of in 2014, I am lacking a cupcake tray and mixer - these two are cheap as chips from John Lewis. I recently bought some comfy gloves from urban outfitters but they are falling apart already! Touch screen gloves would be a blessing so I don't get my fingers cold using my iphone, these cute bow pair are from asos for £6. These Timberland boots are more of a desire than a reality due to the price, but I think they are great quality and have a classic style. Moreover if we have an icy winter they will be great for walking in the snow! Best prices are £135 from USC or a variant for £75 here. Not pictured but I'd also love a pair of Joules wellies for the winter! Dog version, obviously. Been enjoying Baileys in my hot choc as a nightcap, gotta try the orange version! A litre is currently £12 until Tuesday in Tesco! 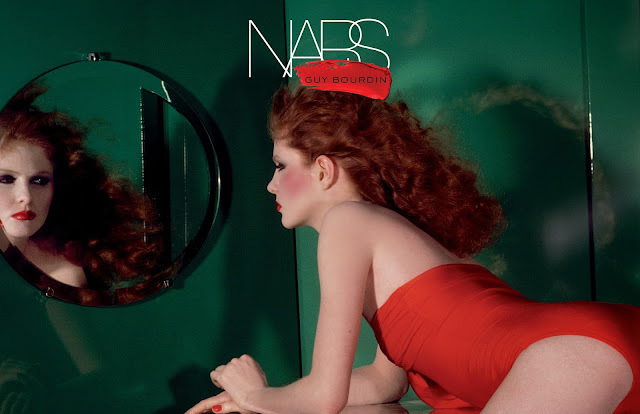 As mentioned on a previous post, the Nars Bourdin collection is lustworthy. I picked out this gift set as the lips box would be great to keep trinkets in after! Seche Vite, a great topcoat that I need to repurchase! £9 in Boots. Phew! 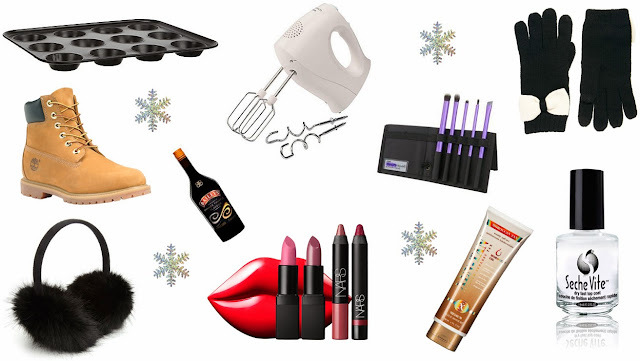 Most items (bar the boots) are under £30 so hopefully I've given you some ideas for your loved ones. What's on your wishlist? Black Friday is a huge shopping day in the USA which has crept it's way over the pond to us here in the UK. Every year it takes place the day after Thanksgiving and is America's biggest shopping day of the year with massive discounts across stores. Apparently crowds get pretty crazy - anyone seen the latest South Park episode? I have gathered up all the best discount codes valid here in the UK so we can all enjoy the Black Friday spirit! Westfield London is also holding a big shopping event with up to 30% off in stores until the 1st. 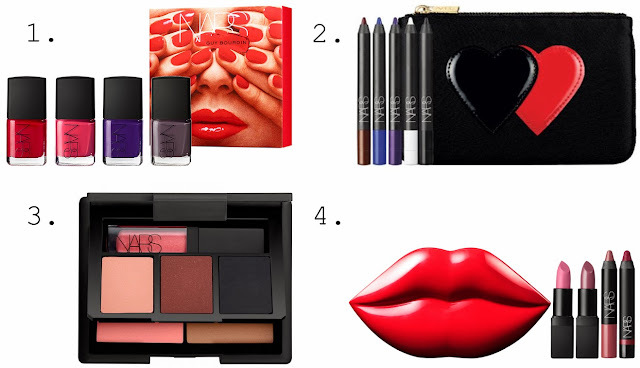 High on top of my Christmas list this year is the highly coveted Nars Guy Bourdin Holiday 2013 collection. Guy Bourdin was a Parisian fashion photographer who reached the height of his success in the 70's, shooting for Vogue, Chanel and Versace to name but a few. His style and concepts were ahead of their time and he is still known today as one of the best fashion photographers in the world. I went to see an exhibition on his work in Paris about 10 years ago and my interest was sparked then. I loved the surrealism in his photos, provocative yet sinister. François Nars cites Guy Bourdin as an inspiration of his ever since the 70s. In this Harvey Nichols interview François Nars describes why he decided to make this limited collection: "I always dreamed about it; Bourdin’s influence is everywhere in my life; it’s in the DNA of NARS. I’ve long incorporated his work into our collections — in names, colours, even inspiration for the campaign images. It was only a matter of time before I created an entire collection around him and his work." I would be happy if Santa bought me any goodies from the collection, in true Nars style the colours are deeply pigmented. It's a nice change to see a bright Christmas collection, instead of the normal burgundy and glitter. You can purchase single eyeshadows, nail varnishes or lipsticks from the collection, however my favourites are these 4 sumptuous gift sets/palettes.